Summer in the Northern Hemisphere is always filled with great sporting events such as the Tour de France, Wimbledon and the World Athletic Championships to be held in Moscow next month. On Friday night I was thrilled to watch sprinter Usain Bolt win the 100 metres event with a surge of speed at the London Anniversary Games. A week earlier, we all cheered Chris Froome in his yellow jersey, the overall winner of the gruelling Tour de France. But all athletes, including tennis, rugby and soccer constantly have the sword of doping hanging over their heads. Once Lance Armstrong decided to confess to Oprah about his deliberate use of performance-enhancing, banned substances, every person taking part in sport of any kind has been living under a microscope. Usain Bolt has stated publicly that “doping scandals have set athletics back” (ST.com, 2013). 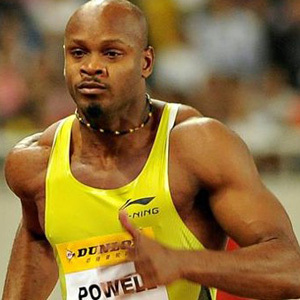 He was referring to the recent revelations that other top athletes such as Tyson Gay, Asafa Powell and Sherone Simpson, had failed pre-World Championship drug tests (11alive, 2013). Chris Froome, the current top world cyclist, kept on having to defend his performance and declare that he is “drug-free” during this year’s Tour de France. After riding more than 3 400km in some of the world’s toughest terrains, the press hardly gave Froome a chance to catch his breath before they were peppering him with questions about doping (Davis & Masters, 2013). But if we consider the unbelievable demands that we make on our athletes, then is it not perhaps inevitable that they should turn to chemicals to improve their performance? It cannot be easy to maintain endless fitness and repeat top performances over and over again. Nowadays there are more supplements for sportsmen and women available than ever before in the long history of competition. Take a stroll through any pharmacy, but particularly the big ones, and you will be confronted with rows and rows of bottles that promise stamina, muscle recovery, strength, enhanced performance, fat burning, muscle growth – in fact every attribute an athlete could dream of and many forbidden improvements that can land athletes in all kinds of trouble and lose them their titles, medals, sponsors and prizes. It is fascinating that supplements are usually used as excuses and trainers become scapegoats when athletes fail their drug tests. For example, in an article on Asafa Powell and Sherone Simpson’s violation of Italy’s doping laws, it was reported that “Italian police confiscated unidentified substances in a raid on the hotel where the trio was staying…” and that the two athletes and their Canadian physical trainer, Christopher Xuereb, “were formally placed under criminal investigation for allegedly violating Italy’s doping laws” (CBC, 2013). As in most cases, the agent Paul Doyle who represents Powell and Simpson, reportedly said about Xuereb, the new trainer, that he “might have given them supplements laced with a banned substance” (CBC, 2013). So it is the supplements and the trainers who take the blame, when the athletes are brought to book. However, when one considers what some of these sports supplements contain, then this may well be justified in certain cases. Recently a member of the public asked me if it was safe to use a slimming aid called “Reverzine” to lose weight. After an internet search I discovered that this product contains a plant extract called yohimbe hydrochloride (Anabolic Review, 2013). As far as I could ascertain, yohimbe is popularly used to inject into fat depots because it is supposed to have “fat burning properties”. The Anabolic Review website warns that yohimbe is very potent and should be used in small doses as taking too much could cause vomiting, high body temperature and flushing. The idea that an athlete may inject himself with this type of androgenic antagonist and then take part in highly strenuous events, is frightening. Imagine running or cycling at maximum capacity when your body temperature is already raised – the potential side-effects can include heat exhaustion, collapse and brain damage. But athletes are always wanting to “make weight” or build lean body mass or enhance their performance or the oxygen carrying capacity of their blood, so they are sitting ducks when it comes to the enticing promises of these supplements. Anabolic steroids are probably among the most popular sports drugs in use at present and also the compounds that are most likely to produce positive drug tests in athletes, thus ruining their reputations and careers. Loss of testosterone production – ironically athletes may make less of their own testosterone when using anabolic steroid supplements, with subsequent low sperm production and atrophy of the testicles. In severe cases athletes have developed anaphylactic shock when using anabolic steroids. Anaphylactic shock is a serious and life threatening side-effect that requires immediate medical treatment and/or hospitalisation. That anyone reading this list of side-effects, many of which are highly damaging and can have a lasting effect on a person’s life and future health, would still contemplate taking sports supplements containing components such as yohimbe, ephedrine, etc, is beyond understanding. But that is what athletes do, over and over again. If you are a sportsman or woman, or a coach, especially one in charge of young athletes, please do not even contemplate using or promoting the use of any supplement that promises weight loss or enhances performance, no matter how enticing the label and the advertising are. You could be dooming yourself or your innocent charges to severe and irreversible harm and you may lose everything you have gained – fame, success, sponsorships, riches, adulation – everything – if you test positive for a banned substance. By all means enhance your performance with a diet designed by a sports dietitian, and a sensible training programme, psychological support and encouragement, so that if you win, you can take a drug test without any qualms and your health will not suffer in years to come.